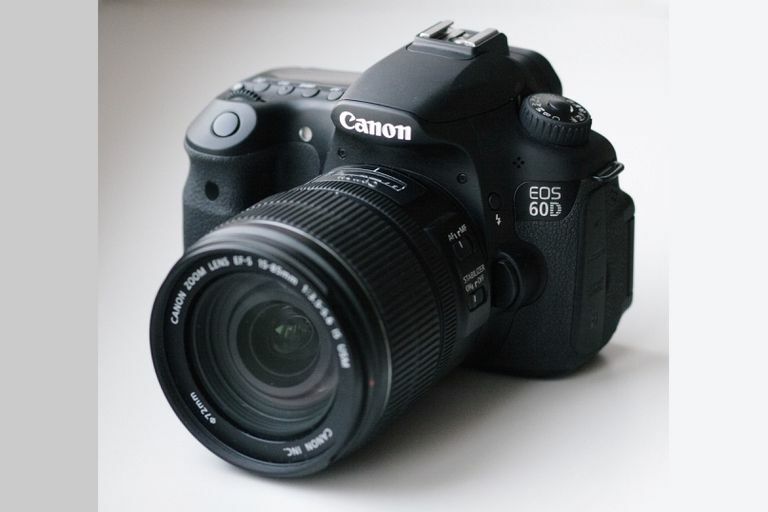 You may experience problems with your Canon camera from time to time that doesn't result in any error messages or other easy-to-follow clues as to the problem. Troubleshooting such problems can be a little tricky. Use these tips to give yourself a better chance to have success with your Canon camera troubleshooting techniques. A few different issues can cause this problem in a Canon camera. First, make sure the battery is charged and inserted properly. Even if you've had the battery inserted in a charger, it's possible the battery wasn't inserted properly or the charger was not plugged into an outlet properly, meaning the battery did not charge. Make sure the metal terminals on the battery are clean. You can use a dry cloth to remove any grime from the contact points. Finally, if the battery compartment door is not securely closed, the camera will not turn on. With this problem, you may have inadvertently opened the battery compartment cover while operating the camera. Just close the battery compartment cover securely. Then turn the camera on and off, and the lens should retract. It's also possible that the lens housing has some debris in it that could be causing the lens housing to stick as it retracts. You can clean the housing with a dry cloth when the lens is fully extended. Otherwise, the lens could be damaged, and your PowerShot camera may need to be repaired. Some Canon PowerShot cameras have a DISP button, which may turn the LCD on and off. Press the DISP button to turn on the LCD. This is most common when the Canon PowerShot camera has an electronic viewfinder option for framing photos, along with the LCD screen for framing photos. The live screen may be active with the electronic viewfinder, so pressing the DISP button can switch the live screen back to the LCD screen. If you find yourself holding the camera near a fluorescent light, the LCD screen image may flicker. Try moving the camera away from the fluorescent light. The LCD also may appear to flicker if you're attempting to view a scene when shooting in very low light. But if the LCD screen seems to flicker in all types of shooting situations, you may need a repair. Most likely, this is caused by the light from the flash reflecting off dust or other particles in the air. Try turning off the flash or wait until the air clears to shoot the photo. It's also possible that the lens could have some spots on it, causing problems with image quality. Make sure that the lens is completely clean. Otherwise, you could be having a problem with your image sensor that's causing the white dots on the photos. Some Canon point and shoot cameras don't exactly match the LCD image and the actual photo image. LCDs might only display 95% of the image that will be shot, for example. This difference is exaggerated when the subject is close to the lens. Look through the specification list for your Canon PowerShot camera to see if a percentage of scene coverage is listed. Figuring out how to show photos on a TV screen can be tricky. Press the Menu button on the camera, select the Settings tab, and make sure you match the video system settings in the camera with the video system your TV is using. Keep in mind that some PowerShot cameras do not have the ability to display photos on a TV screen, because the camera doesn't have an HDMI output capability or doesn't have an HDMI output port.